Gyrotonics Works for the Fitness Fanatic Too! Yes, we did just do a blog post of the benefits of Gyrotonics for Baby Boomers, but don’t let the notion the exercise method being solely for Silver Sneakers into your head, even for a second. Top athletes (like Shaquille O’Neil!) and many others active professions have taken up Gyrotonics. While you won’t break the same sweat as running five miles or squatting 100 pounds, the Gyrotonic method of exercising can provide many fitness benefits key to helping your reach your goals. If you’re really dedicated to your fitness routine then you’ve probably poured over articles, watched countless videos and talked to trainers or other gym-rats, and know all about the importance of a rest day. Most of us probably use that rest day to catch up on our backed up DVR television shows, but actually, many fitness instructors preach the importance of making that rest day and active rest day – meaning you ease up on your normal routine and instead try a lighter activity. Here’s where Gyrotonic classes come in – since it combines some of the training methods and principles of yoga, dance, swimming and aerobics, you still end up getting a complete workout. But if you’re used to more strenuous activity as part of your fitness regime, Gyrotonic classes fit perfectly into your active rest day. You’ll still feel the effect of cardio, strength training and stretching, but will give your body a break for the usual stress. 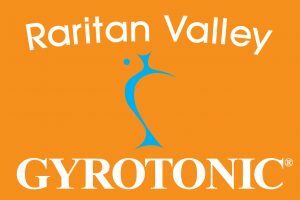 Our instructors at Raritan Valley Gyrotonics are trained to help you make the most of your fitness routine – whether you’re looking for a productive rest day or are new to fitness and just need a starting point. Want to know how even ballerinas use Gyrotonics to step up their fitness routine? Check out the video below of Miami City Ballet’s Jeanette Delgado explaining why she uses Gyrotonics to warm up and demonstrating some of her favorite moves. https://www.rvgyrotonic.com/wp-content/uploads/2017/07/633441.RVG_.Reduced-300x200.jpg 0 0 Shirley Wallitsch https://www.rvgyrotonic.com/wp-content/uploads/2017/07/633441.RVG_.Reduced-300x200.jpg Shirley Wallitsch2015-06-04 10:05:572017-07-10 13:20:06Gyrotonics Works for the Fitness Fanatic Too!